These Roberto Coin love knot earrings capture the sentiment perfectly. 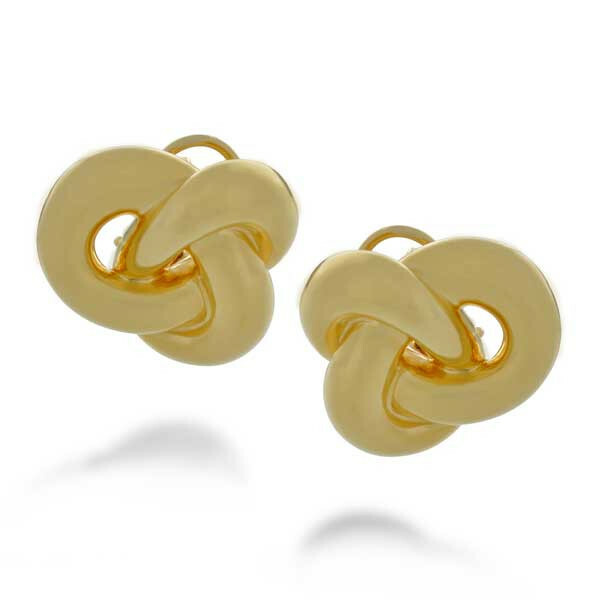 The entwined stud design, crafted in 18kt yellow gold, feature omega hinge backings. The perfect accessory for any occasion, you'll love these Roberto Coin earrings.